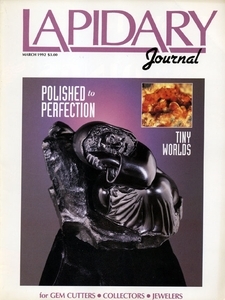 We have a copy of most issues of Lapidary Journal from autumn 1990-2007. They are written by some of the best in the field and will enhance your library. These magazines have moved with us, have been used in our offices and waiting rooms, some got beaten up in the mail...but they read brand new and we know you'll enjoy having more information on many of your favorite gemstones and minerals. Sent in a plain manila envelope. Shipping will be added.